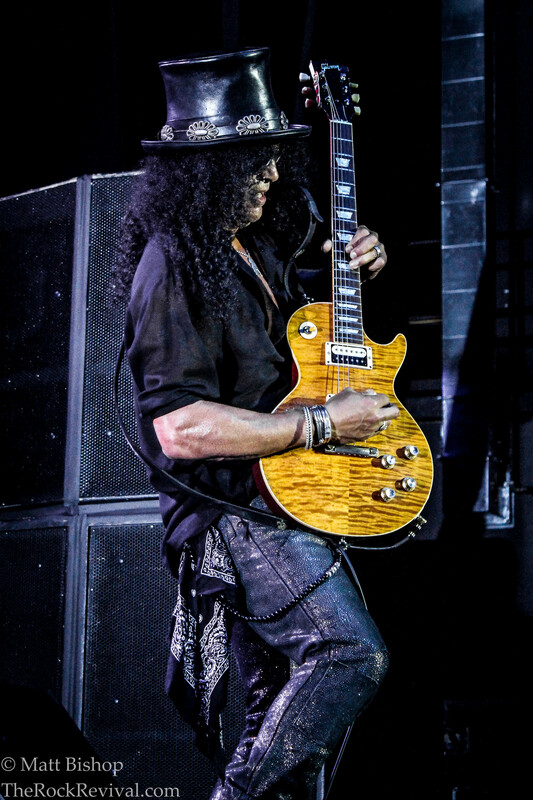 Slash has announced a string of 2015 U.S. tour dates in conjunction with his already scheduled festival appearances. Tickets go on sale today via SlashOnline.com. This leg is part of Slash’s massive world tour in support of his latest studio album World On Fire which debuted at #10 on the Billboard Top 200 back in September. The disc once again features Myles Kennedy & The Conspirators who will also tour with Slash this year as usual. Over the summer, Slash toured with Aerosmith on the Let Rock Rule Tour. Slash’s last album, Apocalyptic Love, debuted at #4 on the Billboard Top 200 back in 2012. The album’s first single, “You’re A Lie”, hit #4 on Active Rock Radio. The album also went #1 on U.S Hard Rock and Independent charts. 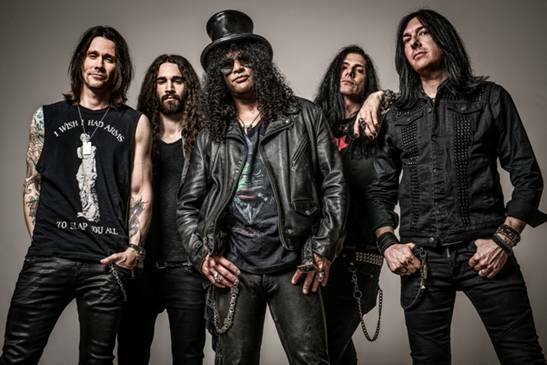 This outing is the follow-up to 2010′s star-studded self-titled, Slash. Every track featured a different special guest vocalist, including Chris Cornell (Soundgarden), M. Shadows (Avenged Sevenfold), Dave Grohl (Foo Fighters), Myles Kennedy (Alter Bridge), and many more. After his guest appearance on the album, Slash tapped Alter Bridge vocalist Myles Kennedy for the tour. Today, Kennedy has become the permanent vocalist for Slash’s solo efforts, officially named Slash featuring Myles Kennedy & The Conspirators. The Conspirators are Brent Fitz (Union, Alice Cooper, more) on drums and Todd Kerns on bass. 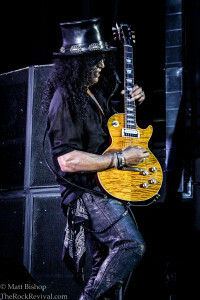 Post-Guns N’ Roses, Slash’s first solo stint came under the moniker Slash’s Snakepit, which produced two albums in fives years, and a U.S. tour supporting AC/DC in 2001. Tagged classic rock, gibson, hard rock, heavy metal, les paul, music news, Myles Kennedy, myles kennedy and the conspirators, rock music, rock revival, Slash, slash 2015 north american tour, slash 2015 tour, slash 2015 tour dates, slash tour dates, slash u.s. tour 2015, TheRockRevival.com, tour announcement.